Corvus Energy, Siemens AS and Ostensjo Rederi strengthen their partnerships with a second offshore vessel project. The new 150m MPSV to be named the Edda Freya will incorporate a 1050VDC, 546kWh Corvus ESS consisting of 84 Corvus Energy AT6500 advanced lithium polymer battery modules. 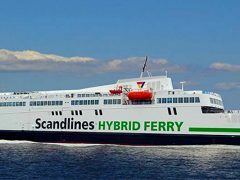 This new project follows from the Edda Ferd hybrid platform supply vessel (PSV) project completed by the same partners in 2014. The Corvus ESS will again be integrated with the Siemens BlueDrive PlusC™ electric propulsion solution that will provide efficient hybrid propulsion to the new MPSV and also provide backup power in the case of blackout, the company explained.